Little J and I had a great time at Singing with Sylvia's Halloween Howl this afternoon! It was Little J's first concert and he had a great time dancing, clapping, twirling and running right up to the front. I thoroughly enjoyed watching him and singing along with Sylvia myself. Sylvia was born to be a children's performer. 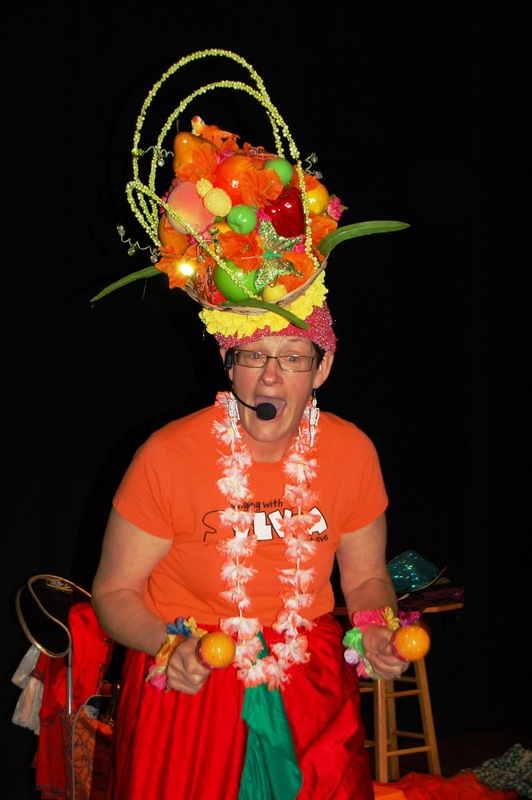 She is so energetic and interactive and she performs with the children in her audience . . . definitely not AT them. She has great organization that keeps the show going and the little ones spellbound, yet she has a great sense of humour and a go-with-the-flow attitude that serves her well when little monkeys like mine bound right up to her for a better look during her show. Each kid received a Halloween colouring page and a treat upon exit. And, a few lucky families recieved one of Sylvia's CDs and T-shirts. It was quite a coincidence that two of the four moms who won concert tickets through saskmom.com also won the draw for Sylvia's prizes at the concert! Congrats! Click below to view a quick slideshow from today's performance. And, click here to find out more about the upcoming shows in Singing with Sylvia's Concert Series.